Osteoarthritis – not just a disease of older horses. 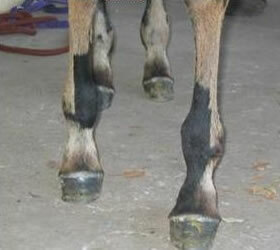 Osteoarthritis is one of the most common causes of lameness, poor performance and premature retirement in racehorses. It should not be considered as a problem just in “older” horses, as early stages of osteoarthritis can develop in horses as young as two years old. Arthritis does not have to be debilitating for your horse. Treatments are effective and are readily available including many new ways of managing this disease. Trainers commonly report their horses to be “jarred up” particularly after a race or gallop on a hard track. These horses may not be lame, but are described as “a bit scratchy” or reluctant to “stretch out”. 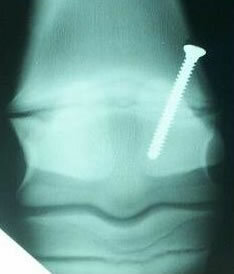 This may be perceived as “normal” for a particular horse but in fact, it may be an early warning sign of joint pain. Some horses may not show any signs of soreness at all, but develop swelling, filling, heat or pain around the affected joint. These are all common signs of joint inflammation. Joint inflammation can arise simply from repeated stress incurred during everyday training. Healthy joints are protected by cartilage, which acts as a shock-absorbing cushion between the bones, and a thick sticky synovial joint fluid, which acts as a lubricant. 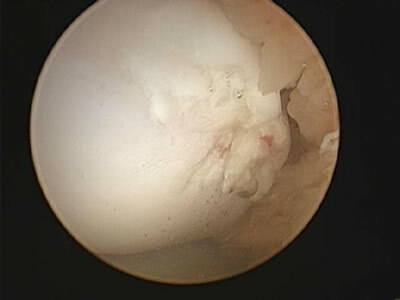 Joint inflammation causes the release of destructive enzymes into the joint, which if left untreated or allowed to recur repeatedly, have an irreversible destructive effect on the joint cartilage and the quality of the synovial fluid. It is impossible to prevent joint stress however the aim is to normalise the inflamed joint as quickly as possible before permanent damage occurs. As osteoarthritis is not curable, the key to successful management and prevention of ongoing damage is early detection and prompt treatment. Routine management procedures such as icing and bandaging, anti-inflammatory drugs (phenylbutazone), anti-arthritic drugs (Cartrophen, Pentosan, Hyaluronic Acid etc.) and cortisone joint injections are effective treatments for managing osteoarthritis. Recently a new technique known as IRAP has been developed which involves collecting and using the horses’s own natural antibodies as a joint injection. If you have any further questions, please call the clinic and we will be happy to discuss this with you. 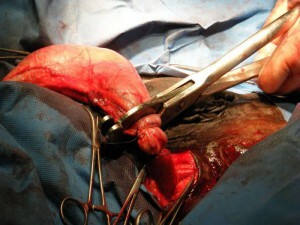 Castration can be performed in horses under general anaesthesia or under sedation with the horse standing. Complications are uncommon but can include excessive bleeding, infection and swelling. Standing castration is performed much less commonly and carries an increased risk for the safety of the veterinarian, handler and horse. The cord is not sutured and there is a small risk associated with evisceration of bowel through the incision and post-operative haemmorhage. At Gold Coast Equine Clinic, we prefer to perform castration under general anaesthesia in the clean, safe environment of our padded recovery room. 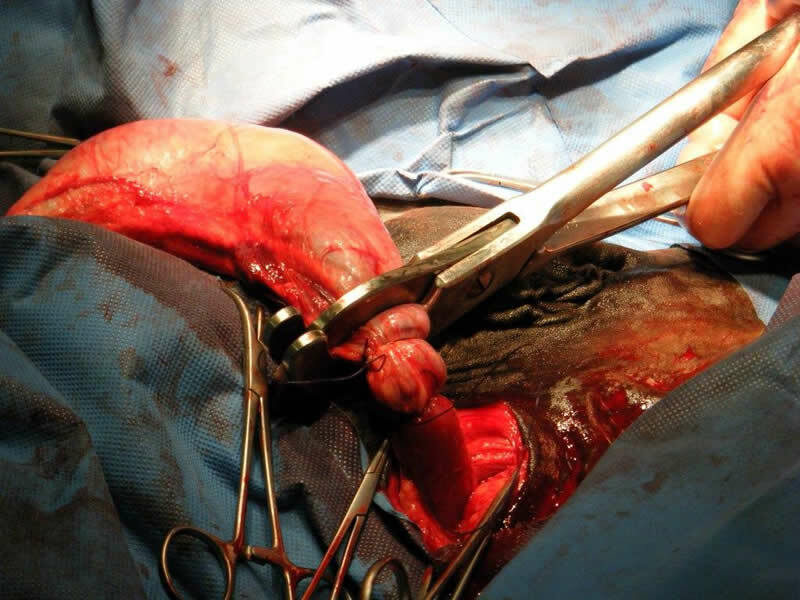 Horses are anaesthetised and each testicle is removed after ligation (tying-off) of each spermatic cord which eliminates the chance of the horse eviscerating (prolapsing bowel through the incision). 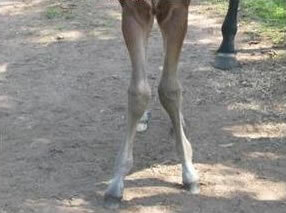 This technique seems to result in less post-operative complications such as swelling and local infection than when performed standing or in the paddock. 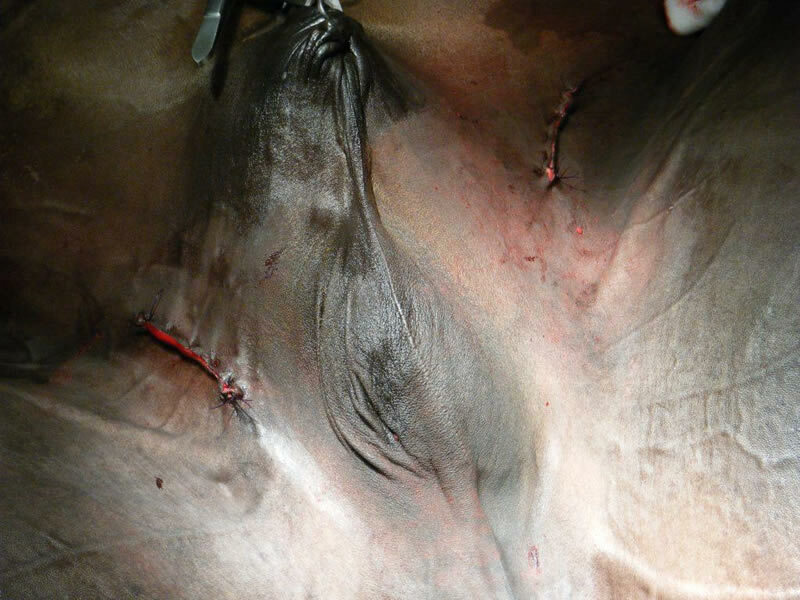 The incisions are left open to heal by second intention and the horse is encouraged to exercise each day to promote drainage. Usually the skin heals in around 14-21 days and the horse is administered antibiotics and bute (anti-inflammatory medication) for 3 days or so. Owners sometimes do not wish to have an open castration incision to care for post-operatively. In these horses, we recommend performing castration under general anaesthesia at GCEC in our sterile surgical suite. With this method each testicle is removed from an inguinal (groin) approach and the incisions are closed with absorbable suture. These horses are typically kept quiet in a stall or small yard for 7 days before resuming work. Occasionally we encounter mild swelling around the incision which usually resolves uneventfully. Haemorrhage can occasionally occur which may need to be drained. Cryptorchid (rig) castration is performed under general anaesthesia at GCEC. A rig is a colt that does not have two fully descended testicles. Frequently, the undescended testicle is located in the abdomen and a small incision is made into the abdomen to facilitate removal. Again, each incision is sutured closed. The bottom line is that there are multiple methods to castrate horses. Each technique outlined above is considered a routine procedure although all carry a small risk of complications which can vary from a minor inconvenience to a catastrophic event such as bowel evisceration. Please discuss these methods with any of our veterinarians who will help you to choose the best method of castration for your horse. You may not think that your horse has gastric (stomach) ulcers but research shows that up to 93% of thoroughbred racehorses in training have gastric ulceration. The percentage of affected horses kept at pasture is also very high. Recent data also indicates that poor athletic performance is a key manifestation of the disease. Intense exercise and the stress associated with an unnatural diet and living conditions are contributing factors, however the most critical issue is acid sitting in an empty stomach. This acid erodes the stomach lining causing ulceration. Horses have evolved to graze food all day so their stomach secretes acid 24 hours a day. Stabled horses are usually fed high energy grain meals twice daily. Often the meal is consumed relatively quickly so without unlimited access to hay/forage between meals, they may go for hours without any food in the stomach to neutralise the acid. Gastroscopy (“stomach scoping”) is the only definitive diagnosis. This procedure involves passing a 3 meter fibre-optic scope (camera) into the horses stomach to visualise the ulcers. Gastric ulcers cannot be diagnosed with a blood test. If you suspect your horse has ulcers the positive response to treatment is also a good indicator that the horse has had the disease. Treatment is aimed at reducing the amount of acid in the stomach to allow the lining of the stomach to heal. This is achieved with the use of effective medications and good feeding practices. Many formulations claim to have an ‘antacid’ effect, however only ranitidine and omeprazole (contained in Ulcerguard/Gastrozol/Omoguard) have been proven to treat and prevent gastric ulcers. It is important to continue treatment while in training at a maintenance dose to prevent recurrence.